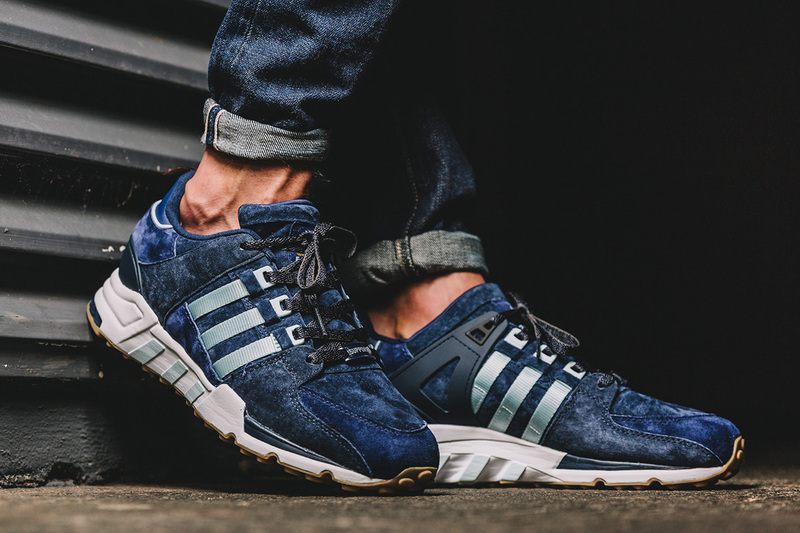 Adidas EQT Running Support 93 "Berlin Marathon"
For this year, adidas EQT has dedicated a lineup of EQT Running Support 93 releases for the international marathon circuit. Starting with Berlin, the collection will also feature releases in honor of Tokyo, Boston, and London. 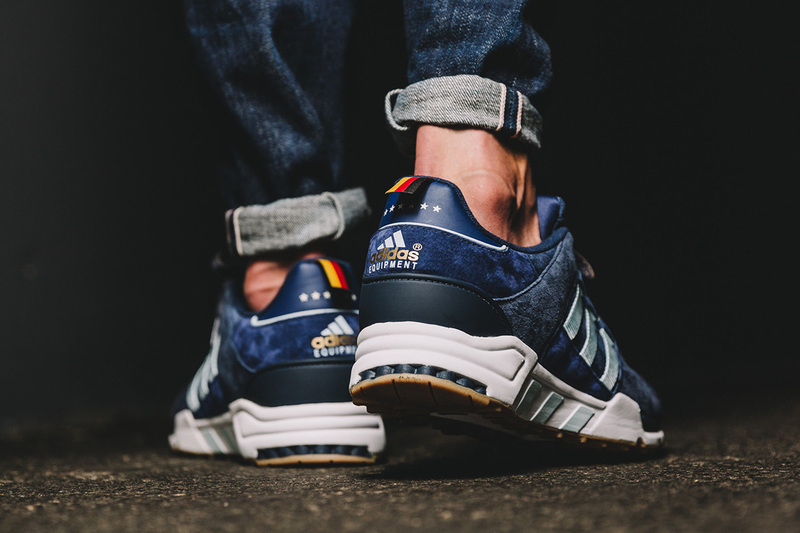 The “Berlin Marathon” colorway features a simple navy blue suede upper that combines with the iconic three stripes in a lighter icy blue to match nicely. 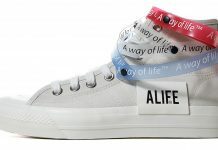 In addition, a thick white midsole and special branding on the heel that includes a small German flag to portray the shoes roots. 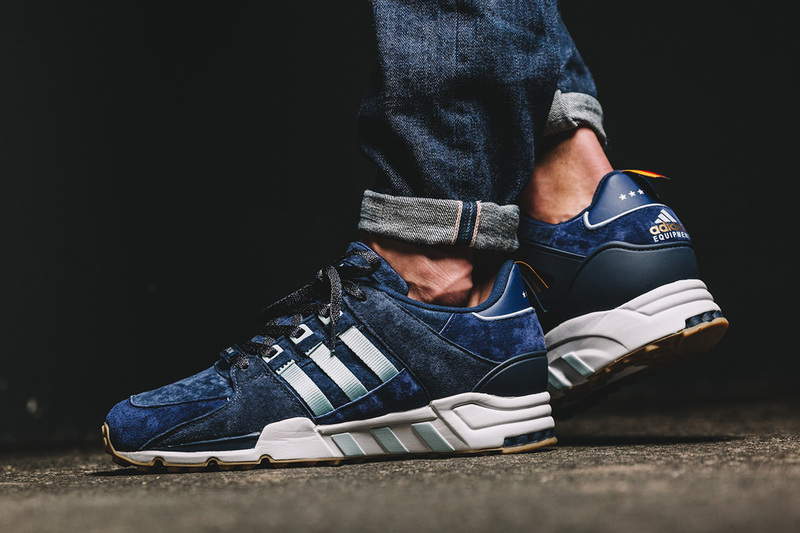 For those interested in grabbing a pair, Berlin based retailer Overkill will be stocking these kicks, alongside other select adidas EQT retailers coming this Saturday, September 24th. With the race set for this Sunday, runners and spectators can grab a pair to remember what a great event it will be, alongside anyone interested in a pair for their own use. If you are going for a pair or do get one, be sure to share your on-foot pictures with us @ModernNotoriety and stay tuned for more sneaker news by giving us a follow.